It's that time again where I'm going to be sharing with you my current favourite songs which I will be listening to whenever I'm going for a long walk or driving somewhere. I'd definitely say I'm a music person; any car journey will have music on (as long as I do not have a headache), but I do love swapping and changing between currents hits which are int he charts and the songs from when I was young. This month I am still absolutely loving Ed Sheeran's new album, as well as The Chainsmokers, but of course if I only included their albums; you guys would get a little bit bored! So this month I've included songs which I also haven't listened to yet, so I'm excited to see what you think about them. Enjoy! 1. I feel it coming - The Weeknd feat Daft Punk. 2. That's what I like - Bruno Mars. 3. Sign of the times - Harry Styles. 4. Swalla - Jason Derulo. 5. On my mind - Disciples. 6. No more sad songs - Little Mix feat Machine Gun Kelly. 7. Hard times - Paramore. 8. There's nothing holding me back - Shawn Mendes. 9. Don't Say - The Chainsmokers. 10. You don't know me - Jax Jones feat RAYE. 11. It Ain't Me - Kygo & Selena Gomez. 12. Bad Things - Machine Gun Kelly and Camila Cabello. 13. I would like - Zara Larsson. 14. No Lie - Sean Paul feat Dua Lipa. 15. Play that song - Train. 16. Be the one - Dua Lipa. 18. Love My Life - Robbie Williams. 19. Green light - Lorde. 20. Slide - Calvin Harris. What's your current favourite song? I am currently obsessed with Bruno Mars' That's What I Like, haha. It's just so catchy! There are a few songs on this list that I hadn't heard from yet, but I'm intrigued... 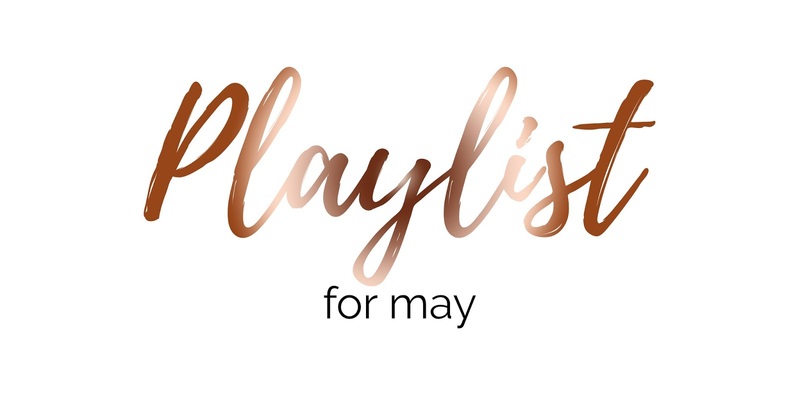 I think I'll give all of them a listen and this could well become my May playlist, too!